Jennifer finished 9th in the Senior Girls' race at the English Schools Cross Country Championships in Chelmsford. Jennifer was 6th overall and 5th under 20 in the 5th in the U17s/U20s race at the Reebok Challenge in Birmingham. 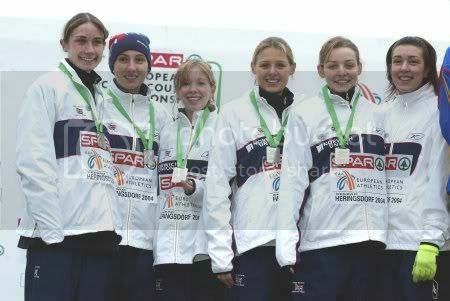 Jennifer won the Reebok 2003/2004 series, with 106 points. Pre-race: Last year’s overall Under 20 Reebok Series winner Jennifer Pereira (Medway & Maidstone AC) will be joined by Kate Goodhead (Gloucester AC) and Marbeth Shiell (Edinburgh Southern Harriers), first and second place finishers from the Under 20 race in Falkirk. 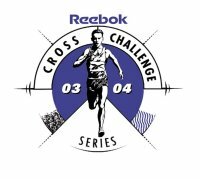 Jennifer was 4th in the Under 20s race at the Reebok Cross Challenge race in Birmingham. 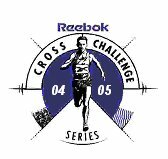 Pre-race: Likely to challenge is Jennifer Pereira (Medway & Maidstone), who was overall Under 20 Women Reebok Series Champion in 2003-04. Jennifer was ?th in the Under 17/Under 20s race at the Reebok Cross Challenge race at Parliament Hills in London. Jennifer Pereira (Medway and Maidstone), of the Norwich Union GB Junior Women’s Team that won Silver medals at the Europeans, won the Kent Under 20 XC title by almost two minutes over the course at Sevenoaks. BMC, Manchester: Jennifer was 11th in the Women's 5000m A race in a time of 16:49.51.